'Tis the season for getting up in your relatives' grills with your giant camera and making them hate you for taking pictures while they are still in pajamas. Yep, the DSLR-slinger has a lot to look forward to around the holidays. A big part of the fun is the long list of gift possibilities. 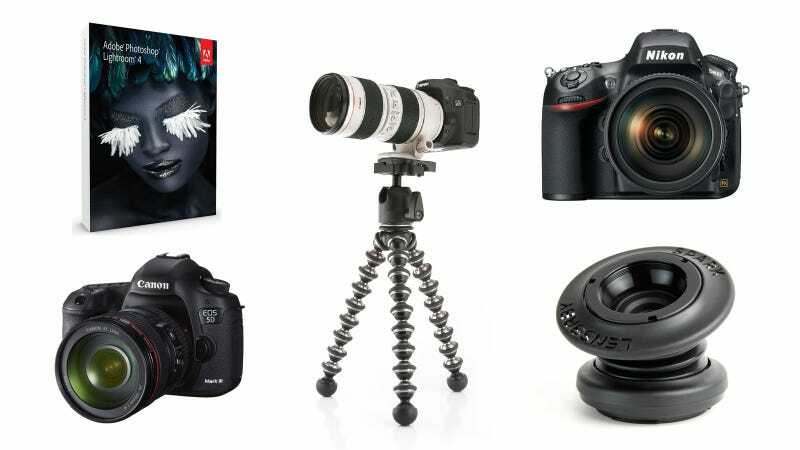 Here are some ideas for the budding photog or seasoned pro in your life.